As you might already know, carriers and retailers in the US have already launched their Samsung Galaxy Note7 exchange programs - some of them have even started offering replacement units. However, if you own a unit purchased directly from Samsung via their online store and you want to get it replaced through the official exchange program, you are currently out of luck. That's because Samsung has allegedly confirmed that its shipping partners including FedEx and UPS have refused to transport back faulty Note7 units because of safety concerns. 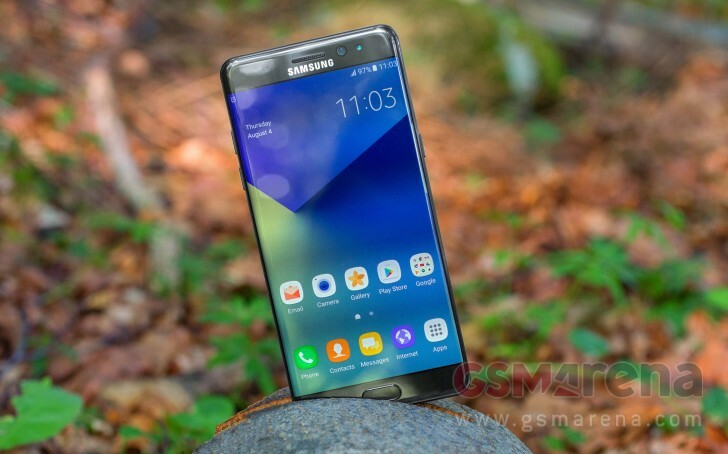 "At this time due to FedEx and UPS refusing to transport the packages there’s no exchange program," the South Korean company told a Note7 user this past weekend. The tech giant, however, added that "a new program will be introduced for an actual Exchange instead of the Return/Refund system we had previously instituted." "This system was supposed to go live as of today, but as the last details are still being set up, this will be started next week." Meanwhile, some users are also saying that they have been informed by Samsung that a private shipping company has agreed to transport the phones. Anyway, it's worth mentioning that users still have the option to manually return their handsets and then purchase a replacement unit whenever it's available. Keep in mind, however, that you won't get a loaner device in this case.